Robotic surgery for urinary bladder cancer is now the leading option in cases where the disease requires the removal of the bladder and creation of a new reservoir or passage for urine from a part of the intestine. This technology now enables an early recovery of patients after surgery and a decrease in chances of complications – while retaining the same cancer control probability of conventional open surgery. In the following video, Dr. Gagan Gautam demonstrates the technique of removal of bladder and creation of an ileal conduit via robotic surgery. So, how is robotic surgery better than conventional open or laparoscopic surgery? Express healthcare finds out from two leading robotic surgeons in India. There is little doubt that over the past decade, robotic technology has created a mini revolution in surgery. After taking the western world by storm, it is now headed our way, to India. The big question is … are we ready for it? The scope of robotic surgery in the Indian healthcare scenario seems to be expanding rapidly. Only a few years ago the number of robotic systems in India could be counted off on the fingers of a single hand. However, the number is currently around 25 and is all set to explode in the years to come. It is estimated that over 2500 robotic procedures were performed in India in 2013. However, this is just a small fraction of the number of patients who can benefit from this technology. With rising levels of education and awareness, implementation of cancer screening programs, increasing economic strength, and the availability of modern technology, these numbers are likely to multiply many times over in the coming years. This technology affords a number of advantages to the surgeon as well as the patient. It is now possible, with robotic technology, to see tissue details in magnified 3-D vision, that were never visualized earlier. Highly miniaturized and dexterous robotic instruments enable the surgeon to perform precise and accurate surgery resulting in excellent outcomes with decreased chances of complications. However, an under appreciated caveat of this technology is the centralization of major surgical procedures in high volume centers. This is not necessarily a bad thing. Research studies have consistently shown that complex surgical procedures are best performed at tertiary institutions by experienced surgeons dedicated to that particular sub speciality. Not only does this result in optimal surgical outcomes, but also provides opportunities for dedicated follow-up, additional treatments and further research. Robotic technology permits more and more patients to be operated in fewer institutions by a dedicated group of surgeons specialized in the care of these patients. At the same time, robotics has greatly reduced the learning curve of complex surgical procedures, thereby enabling rapid dissemination and assimilation of highly advanced surgical skills by surgeons who are interested in performing robotic surgery. Every challenge is an opportunity and vice versa. 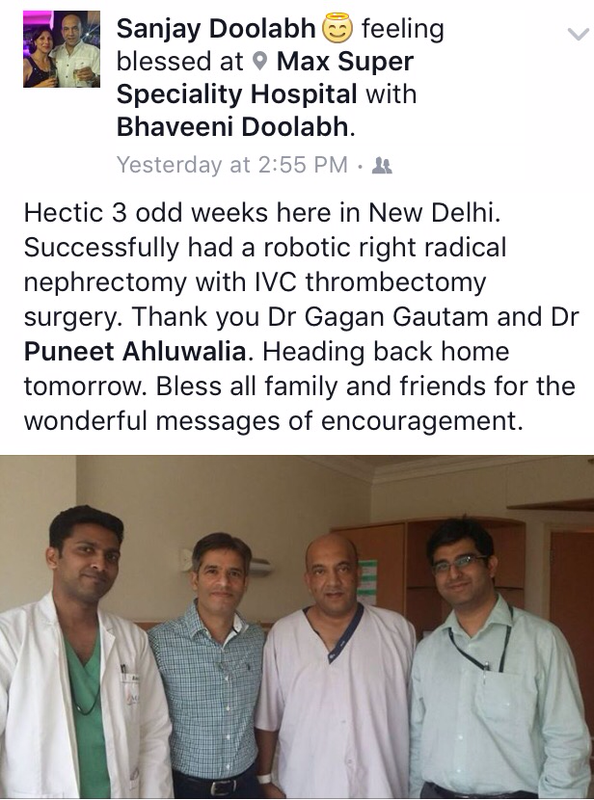 In India, there are certain unique challenges that have to be overcome before robotic surgery becomes widely acceptable. Even if we move beyond the oft cited constraints of cost and prioties in healthcare, availability of trained manpower remains a major issue. Currently, in India, there is a severe deficiency of adequate training facilities for robotic surgery. The establishment of fellowship programs and structured training for entire surgical teams is the need of the hour. Leading robotic programs in India need to take the lead in establishing these training centers. Proctors and preceptors from these Indian institutions need to play a role in helping other surgeons and establishments overcome their learning curve safely and efficiently. Next generation surgery – The Da Vinci surgical robot in action. Hopitals and insurance companies need to work together to work out issues regarding financial compensation for robotic surgery. We need to demonstrate definite improvement in patient outcomes, decreased hospitalization and a reduced readmission rate after robotic surgery to encourage insurance companies and government agencies to cover the additional cost of robotic surgery. This can only be achieved by maintaining a robust database for every major procedure done, using the robot. There is little doubt that India is now ready for a rapid expansion and development of robotic surgery. 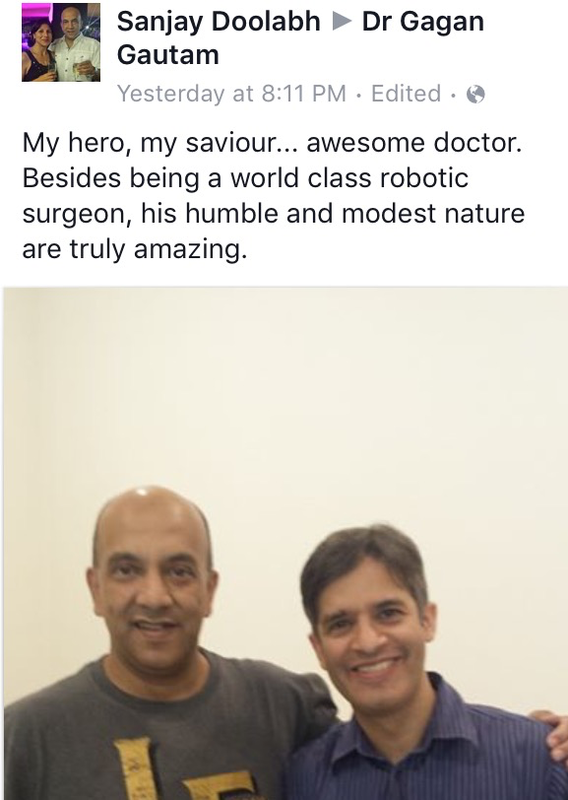 In fact, due to the combination of a large case mix of complex medical conditions and his/her inherent ability to get comfortable with modern technology, in the times to come, the Indian surgeon may be in a unique position to provide international leadership in certain disciplines of robotic surgery.